If you like this blog, pass it on to three or more friends. Let’s keep the conversation going. involuntary exposures (those that require policy changes to control) and voluntary exposures (such as smoking and diet, including alcohol consumption), and focuses its risk reduction recommendations on the latter. (The IOM “Opportunities for Action” document is all about how women need to protect themselves.) These recommendations will only reinforce the inclination of women to blame themselves when they get breast cancer. The life course approach has been advocated for a long time. The National Institutes of Health Breast Cancer and the Environment Research Centers have been funding this kind of research since 2003. So, the IOM report does not break new ground. Worse, it is silent on policy changes required to reduce involuntary exposures to toxins that may be contributing to the skyrocketing rates of breast and other cancers. We should not be surprised. Here’s why. 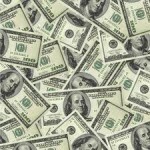 When I was ED at Breast Cancer Action, Komen spent half a million dollars for a review of all the published scientific information on environmental links to breast cancer. That review, conducted by the Silent Spring Institute, was published in June, 2007 in the American Cancer Society’s journal Cancer. 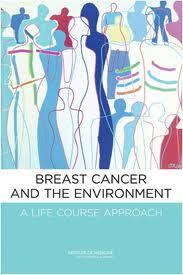 For people concerned about the issue of environmental links to breast cancer, it was a watershed moment. The study was widely reported and applauded. Many researchers took to heart the ideas presented about how to approach more studies in the field. In December, 2007 — the year of the Silent Spring study — I met with the then-CEO of Komen, Hala Molddemog, and the organization’s then-policy director, Diane Balma. (Molddemog left Komen to become president of Arby’s Restaurant Group. Enough said.) My intention was to thank them for funding the report and explore ways Komen and Breast Cancer Action might work together to advance its recommendations. I started the conversation by thanking the Komen reps for funding the Silent Spring study. Ms. Molddemog responded by asking me if anyone was finding it useful. It was clear to me from the question that Komen had funded the study but not followed its publication or use. How sad. The reason that Komen has been so reluctant to look at chemical exposures is not hard to discern. Komen’s corporate partnerships are well known to most people in the breast cancer world. Komen is basically a wholly-owned subsidiary of corporate America. But not many people have thought about how those connections – to companies like Ford Motor Company, for example – inhibit what research Komen might be willing to do on toxics that are linked to breast cancer that come out of the tail pipes of cars. A very few people have even noticed that Komen is marketing a perfume called “Promise Me” that contains known or probable carcinogens. There are very few things that we can say with certainty cause breast cancer. 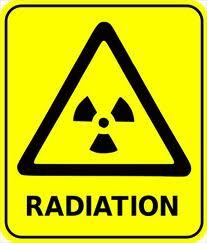 One of those things is ionizing radiation. Not that everyone exposed will get breast cancer, but the risk goes up with exposure, and we know the biological mechanism of the process. While the IOM report urges individuals to reduced their exposure to medical radiation, it says nothing about policy changes to reduce everyone’s exposure to this risk, including re-thinking our approach to routine breast cancer screening using mammography, which is radiation based. Komen is the biggest promoter of more and more mammography. This fact, and the fact that Komen funded the IOM report, may explain why there is no recommendation in the report for the medical community to monitor and limit radiation exposures. Which brings me back to my meeting with Moddelmog and Balma. 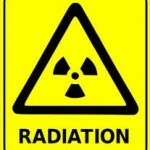 When I suggested in 2007 that Komen and Breast Cancer Action might work together to encourage women to track and limit their exposure to ionizing radiation, I was immediately told that was a non-starter, because doing so would discourage women from getting mammograms. The irony here is that all three of us in the conversation had had breast cancer, all three had had regular mammograms, and in none of our cases was the breast cancer found by mammogram. So whether it’s radiation or toxic chemicals, Komen is boxed in by its positions and partnerships. And that means that no report funded by Komen will ever recommend actions that challenge the profitability of its corporate partners or suggest that the organization re-think its core message about mammograms. That also means that as long as Komen dominates the conversation about breast cancer, the rest of us are pretty much screwed. With that background, consider how the IOM is constrained when it gets funding for its research from an organization like Komen. When Komen defines the research question as broadly as it did, the research results are destined to look as they do: like a repeat of all we already know. Is there anything $ can't buy? invest in the kind of research called for by the IOM report. But, because the report includes so many things as “environmental,” it will be entirely possible for Komen to invest in research of anything but toxic chemicals. Already, Komen has spent $1.5 million on research into what the research agenda should be. The IOM report gives Komen just the cover it wanted to avoid looking at involuntary chemical exposures as a culprit in the breast cancer epidemic. It’s time for a change. Email Liz Thomspon, CEO of Komen — EThompson@komen.org — and tell her you want Komen to invest in research on chemicals that may be linked to breast cancer. And contact the Institute of Medicine at iomwww@nas.edu to tell them what independent research means to you. This entry was posted in Breast Cancer, Environmental Health and tagged Arbys, Balma, Elizabeth Thompson, Ford Motor Company, Institute of Medicine, IOM, Komen, Liz Thompson, Molddemog, NIEHS, Silent Spring Institute. Bookmark the permalink. Not surprised somehow. I think a lot of us saw through this ‘study’ from the get-go. Your previous experience with Komen is illuminating and adds more fuel to the fire that many of us have been encouraging. We’ve got our work cut out for us. Thank you for publishing this, Barbara. Keeping up appearances sure is expensive isn’t it? Wonder what Breast Cancer Action or other EFFECTIVE grassroots organizations could have achieved with $1M? Once again, Komen’s (in)actions and wastefulness leave me feeling nauseated. I was there for the report and on scholarship from the Alamo Breast Cancer Foundation. 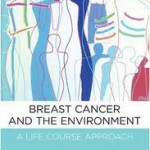 My hot topic to write about is Breast Cancer and the Environment. There was major dissapointment and the report was criticized by many. It was much too vague giving us absolutely no new information. I still have plenty to write my report about and always appreciate what you have to say Barbara. I stopped by and visited with the BCA ladies at their booth. We talked about how you are missed and I hope they can carry on as well as you did. There presence was noted and questions were asked by them, hoorah. Peace to you and Susan during the holiday season. I loved your piece on the IOM report. It’s the best analysis I’ve seen so far. Not surprising, given the brilliance of the author. Anyway– one small thing came up for me as I read it: I would argue that smoking and diet are not necessarily “lifestyle” factors since ETS exposure is definitely considered involuntary, and diet is often dictated by the food environments to which one is exposed. Komen would never think of these factors in this way, unfortunately, which is why all recommendations about diet and smoking are about getting individuals to eat better, avoid ETS exposure and quit smoking. In reality the biggest thing reducing population exposures to smoking (by smokers themselves or through ETS) has been through policy and regulation (e.g. taxing cigarettes and smoking bans), not smoking cessation programs. The same goes for diet– changes in eating habits happen through policies that enable/incentivize folks to eat better (e.g. better school lunch programs, prohibition of certain foods in certain places, changing federal subsidy programs to encourage production of different foods, etc.). Thank you again for your dispassionate and clear-eyed critique of the Komen Foundation and the state of breast cancer research funding. A happy Chanukah and winter solstice to you and Suse. Well, at least it was refreshing to see that the article regarding this subject in our Contra Costa Times by Sandy Kleffman read “Study lists breast cancer avoidance tips” notice the word “avoidance” not the usual “prevention”. I wonder what made Sandy change from the usual prevention word? is someone out there actually thinking about what words mean… Now we can “reduce risk” by avoidance of something. Hummmm sounds somewhat nebulus. Thanks, Barbara, for posting your comments. These days, making “healthy choices” in an American grocery store requires a degree in chemistry, about an hour of intensive label reading…and then going someplace else to shop. Once again Komen shows their true colors and caves to political pressure and corporate interests. An article in the NY Times today notes that Komen has halted all of the funding they provide to Planned Parenthood for breast cancer screening and education. Great posting, Barb! I’ve shared on Facebook, both on my wall and on the Komen page. Having read Devra Davis’s book on the machinations of the cancer war, this doesn’t surprise me. But with the Planned Parenthood flap, I pulled out my copy of the book to see where Komen is mentioned, if at all. She makes only three tiny and non-committal mentions of Komen; and the third mention is not listed in the index – that last example is one where Davis briefly mentions Komen’s “shifting interest to those things in the larger environment that affect cancer risk.” Her very next sentence cites the Silent Spring Institute’s review of “216 different chemicals proven to cause mammary tumors in animals. None has ever been regulated for its potential to induce breast cancer.” A condensed table of some of those chemicals follows. But Davis does not link Komen to the SSI review. Davis is no dummy. And from what she wrote throughout the rest of her book, I’m wondering if that non-indexed mention was based on skepticism that Komen had any interest in examining environmental toxins. The book was published the same year as the study, so it may have been an oversight. But it took three years for Komen to commission the IOM work. Davis highlights this sort of behavior by the high-profile cancer industry time and again – so-called charities that take little interest in looking at industrial toxins and who partner with corporate giants and polluters. Thanks for the work, Barb. Glad I found your blog!